03/10/17: Dr. Catríona Dowling receives an Irish Research Council postdoctoral fellowship to work on non-small cell lung cancer. Well done! 15/08/17: Congrats to PhD student Alessandra DiGrande on EACR travel grant. Alessandra attained a grant to travel to the lab of Professor Pieter Van Vlierberghe in Ghent Univeristy. 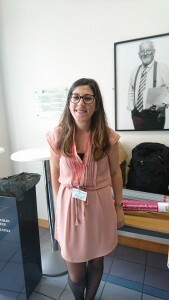 09/06/2017: PhD student Alessandra DiGrande wins best poster prize at BCNI. The aim of the project is to investigate the role of bromodomain proteins in invasive lobular carcinoma. 31/07/2016: RCSI RSS summer students. 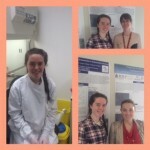 05/04/2016: Transition year student Orla visiting the lab from Clonakility Sacred Heart Secondary School. 01/04/2016: Louise Walsh wins best elevator pitch at BREAST-PREDICT meeting. 26/02/2016: Louise Walsh is selected for an oral presentation at the Irish Association of Cancer Research 2016 meeting.